Our staff will treat you with respect. Each employee will be in uniform and professionally trained to perform assigned tasks on your property. We will be there when we say and we will do what we promise to do. Our trucks will be clean and identifiable, and will not detract from the appearance of your neighborhood. Your job site will be left neat, clean and safe. We will promptly correct any aspects of our work that is unsatisfactory to you. Thank you for your interest in our company. 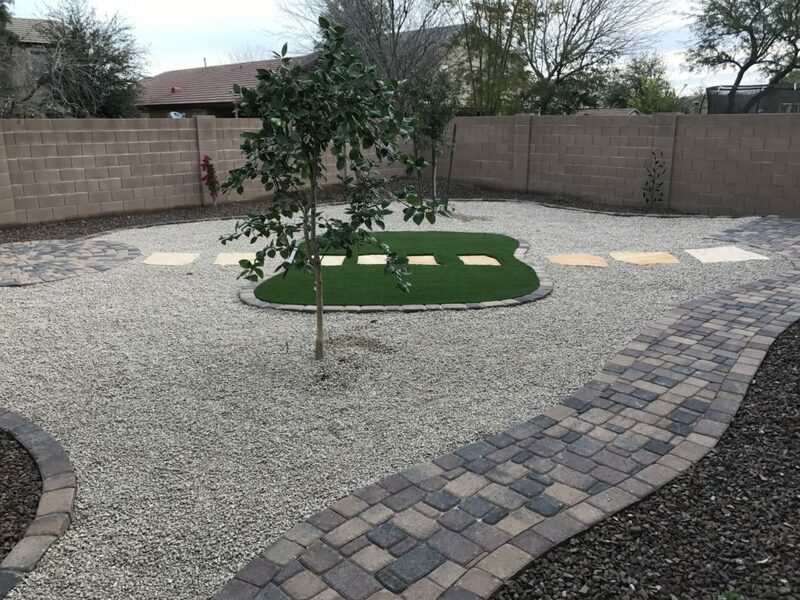 The Yard Experts, Inc. is the best locally owned and operated (San Tan Valley, AZ) landscape, hardscape, irrigation and lawn Maintenance Company in the East Valley. We service San Tan Valley, Queen Creek, Gold Canyon, Mesa, Gilbert, Chandler and Florence (Anthem). 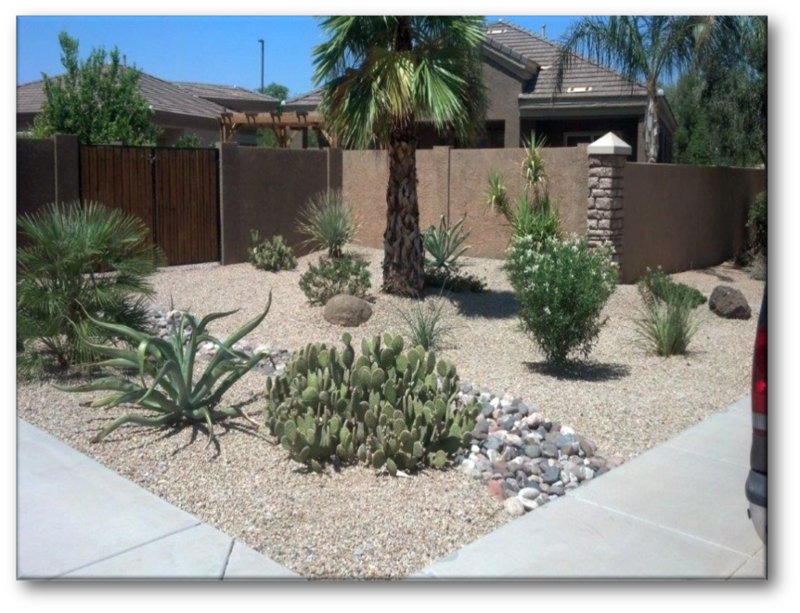 For larger projects we will go to Ahwatukee, Glendale, Tempe, Scottsdale and other cities around the Phoenix area. 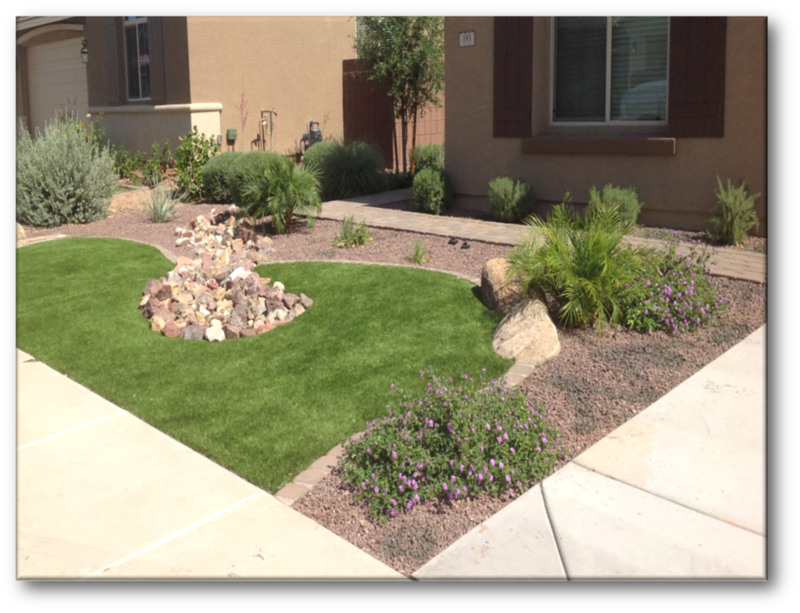 The Yard Experts are a licensed landscape contractor and can do anything from weekly maintenance to custom landscape construction. No project is too big or too small, we offer customized landscape maintenance plans for residential and commercial clients alike. 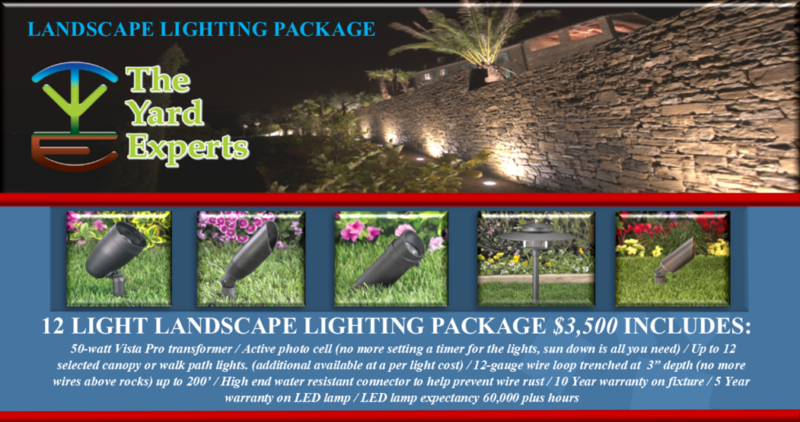 Some of our services include, High Efficiency Irrigation Systems, LED and low-voltage lighting, Synthetic Lawns, Sod,Paving Stone, irrigation and storm damage repair and tree-trimming and removal. Our professional and friendly staff are here to help, whether it’s a custom design or remodeling your existing landscape rest assure we will do the job right the first time. We believe our customers deserve the best quality in landscape products and services. We truly take pride in our work and that’s why we go the extra yard for you!. The Yard Experts are a full service landscaper. We believe in creating unique and personalized outdoor environments tailored for our clients. We do everything from custom landscapes to hardscapes. Let The Yard Experts keep your yard looking manicured and beautiful. We offer weekly, bi-weekly and monthly service including proper adjustment of your irrigation. 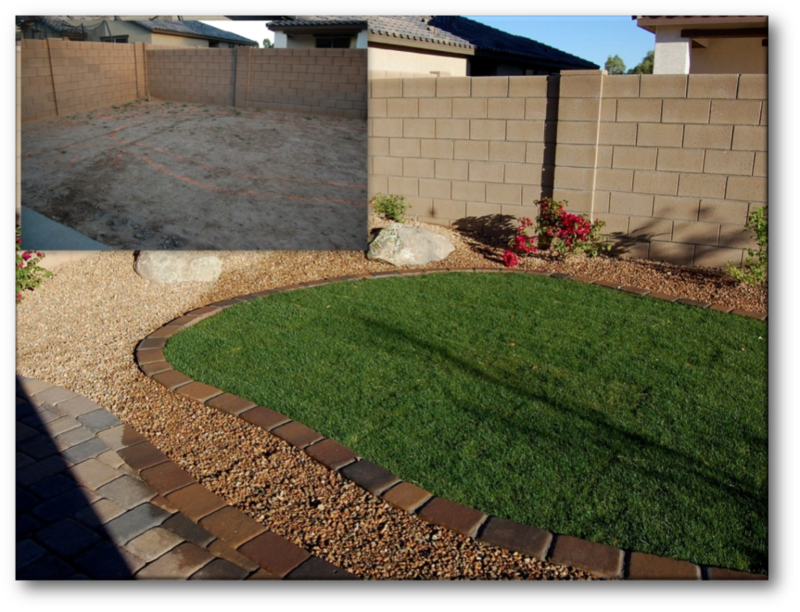 The Yard Experts, offers you the best clean up and tree care service in the southeast valley. As a full service landscaper, we understand that over the summer it’s too hot to do the outdoor work. So call us! Powered by WordPress and WordPress Theme created with Artisteer by InSiteful Solutions.